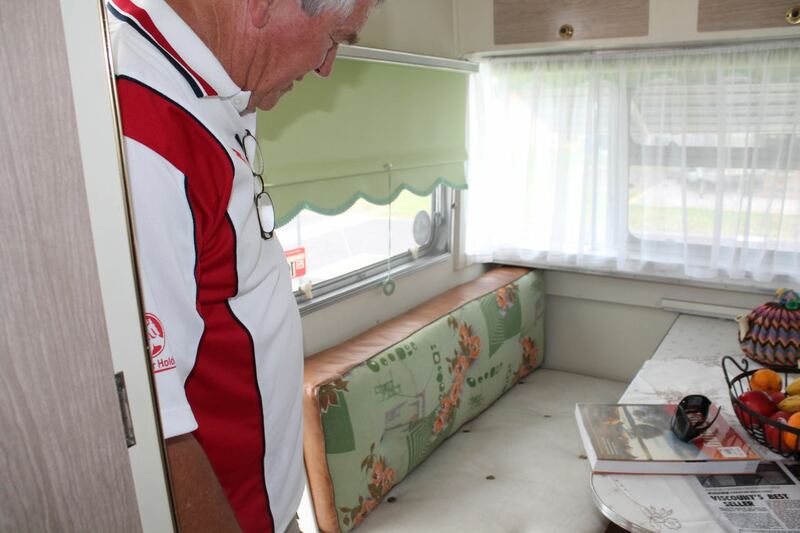 Ray shows the original upholstery – amazing condition in a 50 year old caravan! 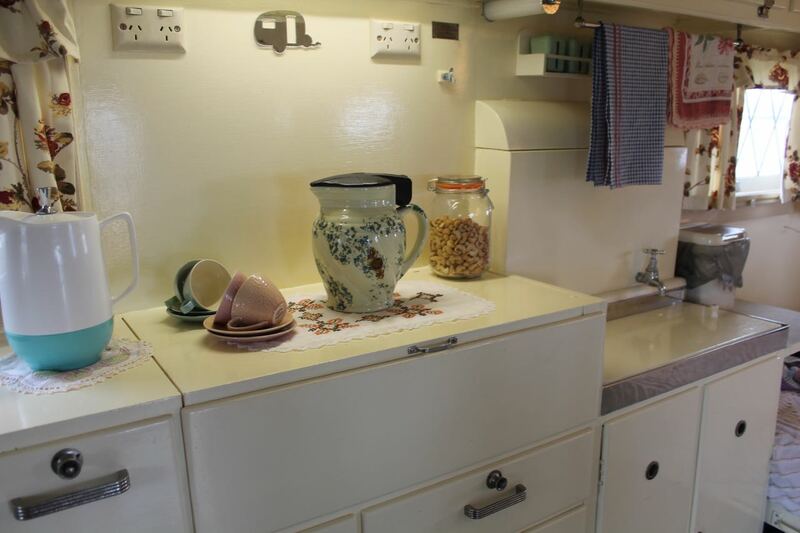 Lift up the lid and a light comes on – mirror and cosmetics all ready! 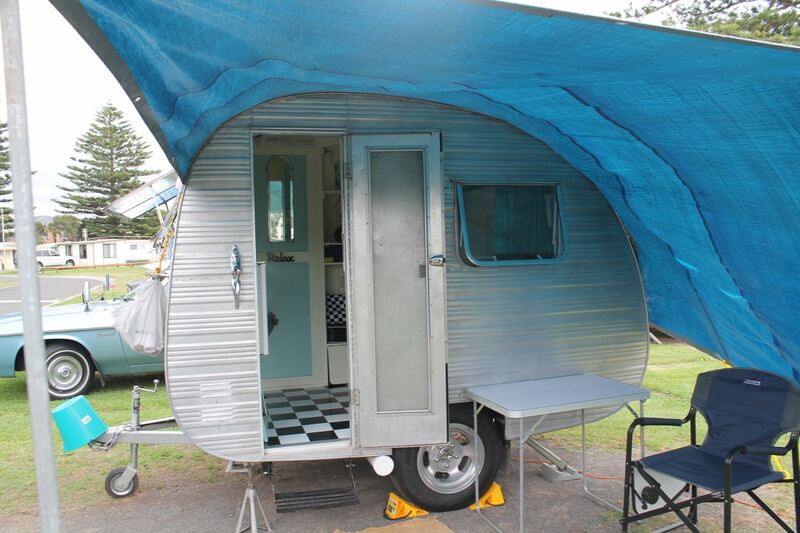 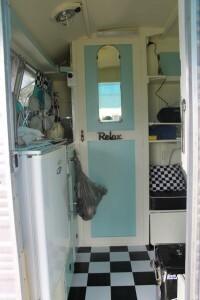 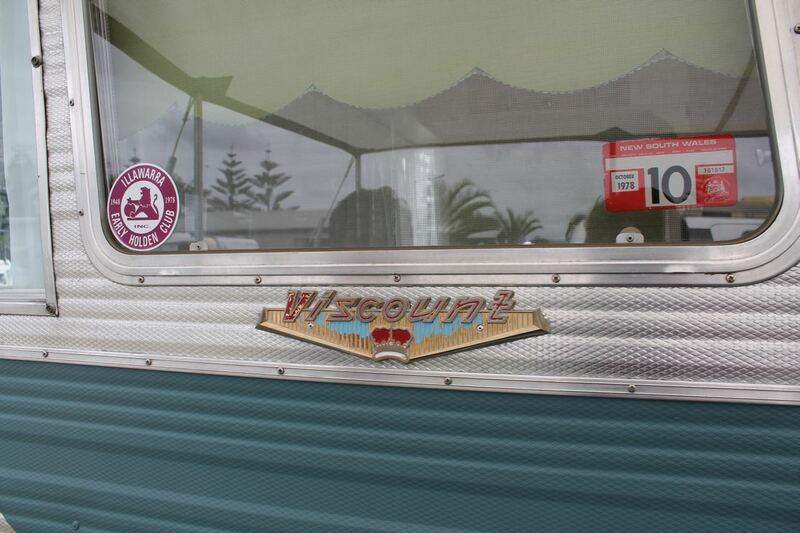 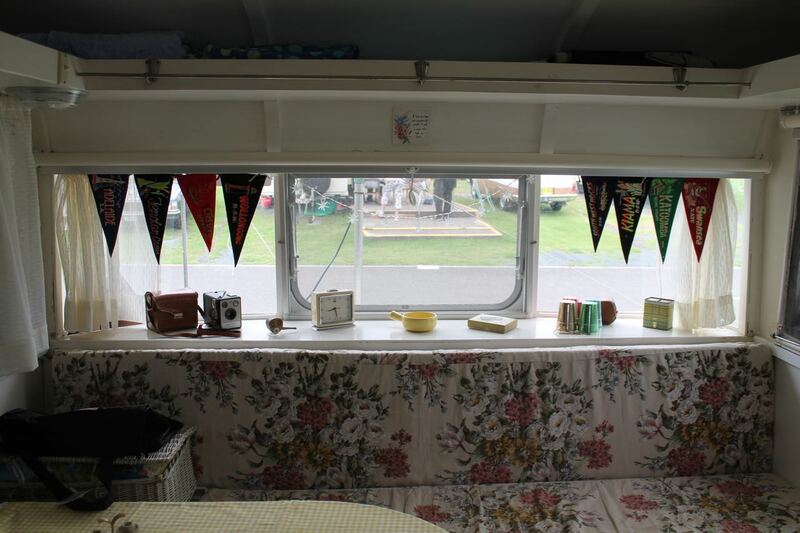 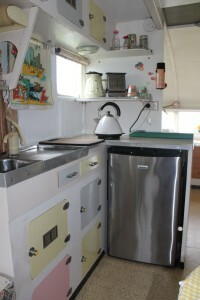 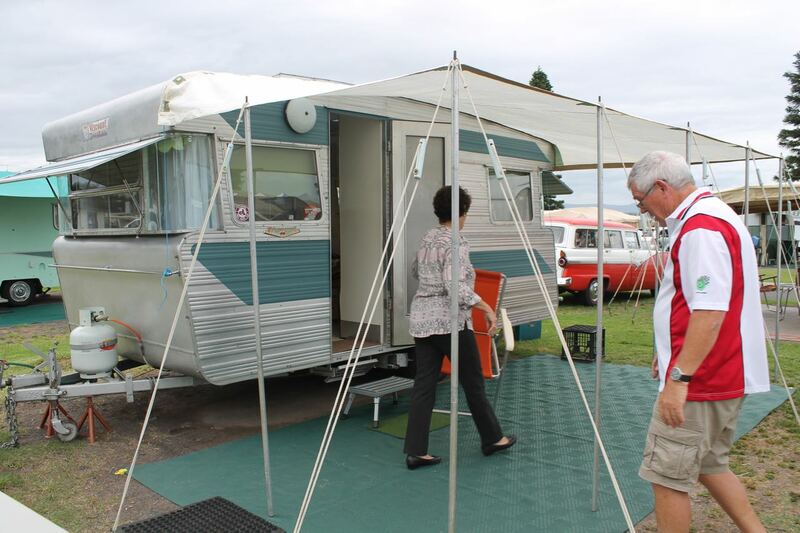 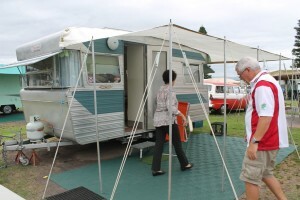 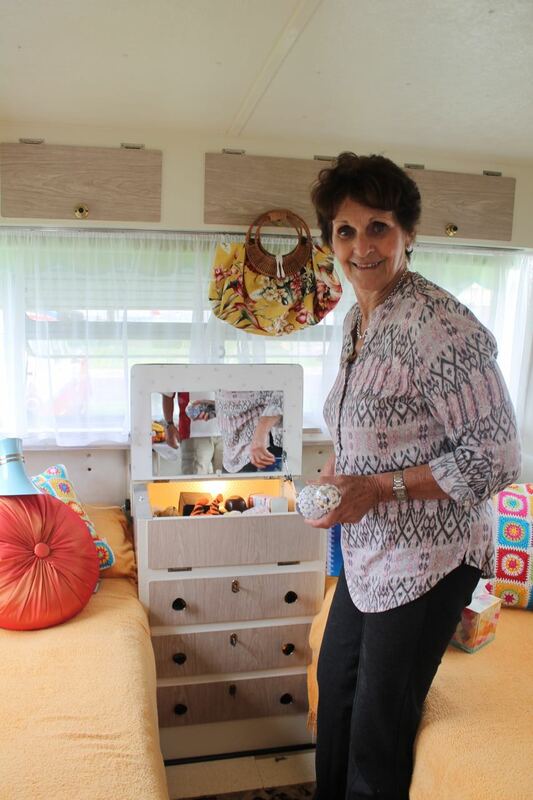 I loved the colours and the little touches of retro throughout this caravan! 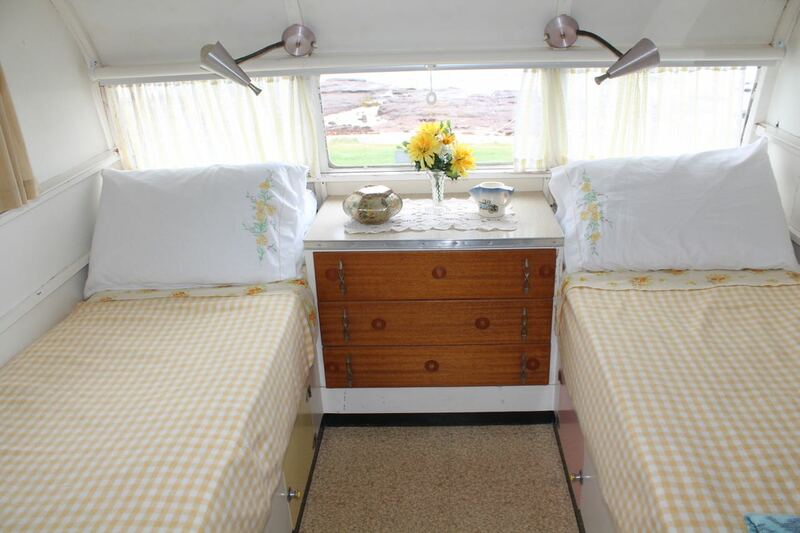 Wake up, Sue – we have visitors! 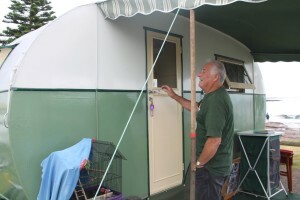 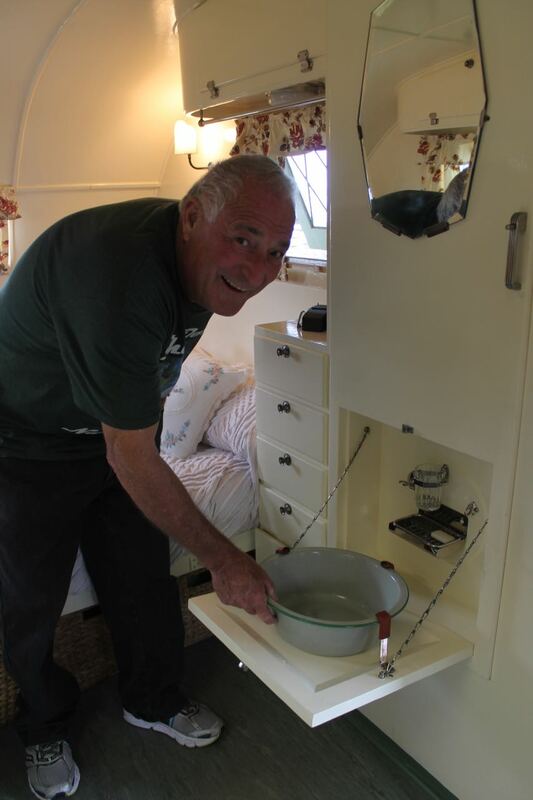 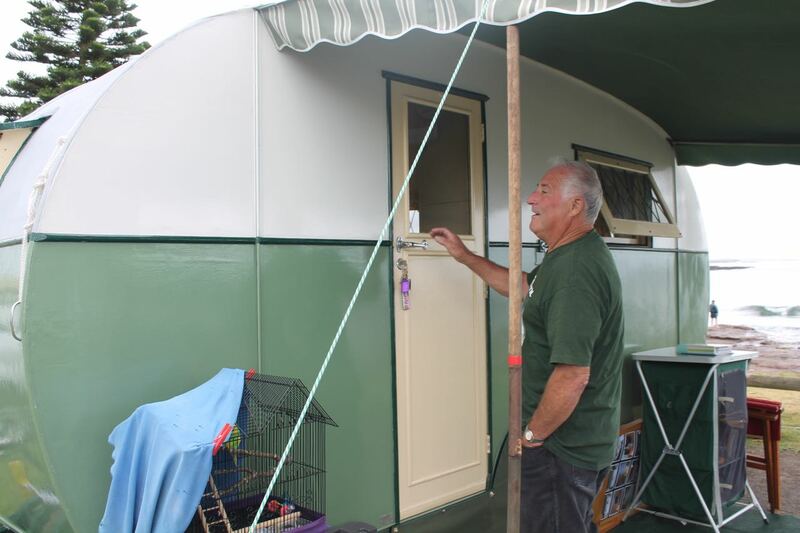 Colin shows off the ensuite facilities – it reminded me of what you had in old trains! 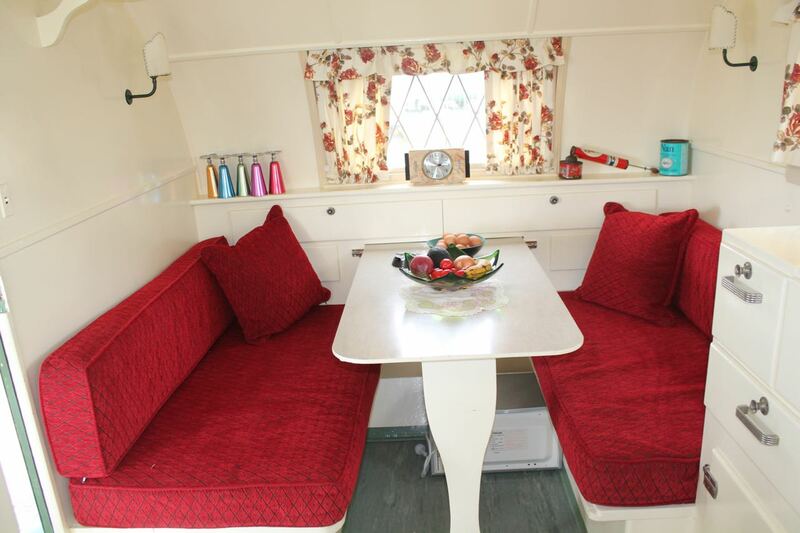 A cosy dinette, reupholstered in ruby tones. 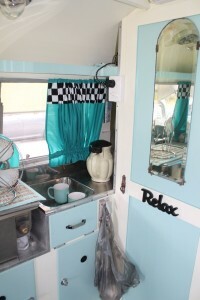 Love those wineglasses.. 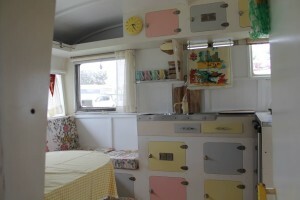 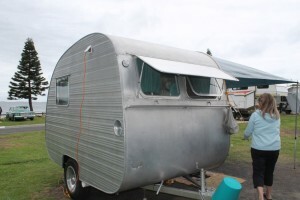 I just adored the soft sorbet tones in this caravan. 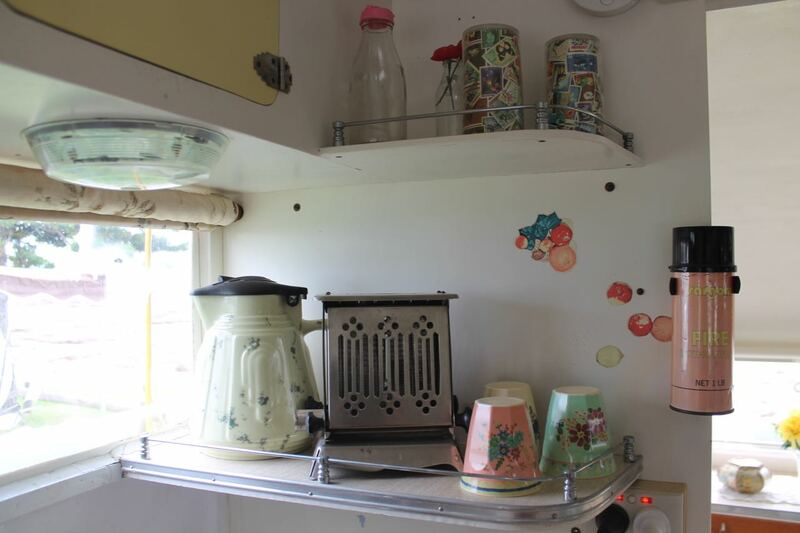 It all looked good enough to eat! Look at these gorgeous colours! 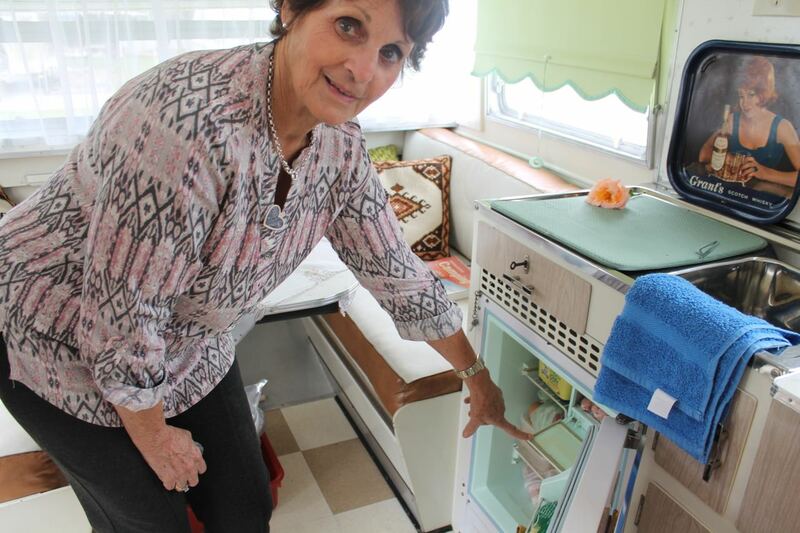 One of the prettiest kitchens… Judy does have a vintage jug that gets put out on display! Note the Brownie box camera on the windowsill! Sooo comfortable to sleep in! 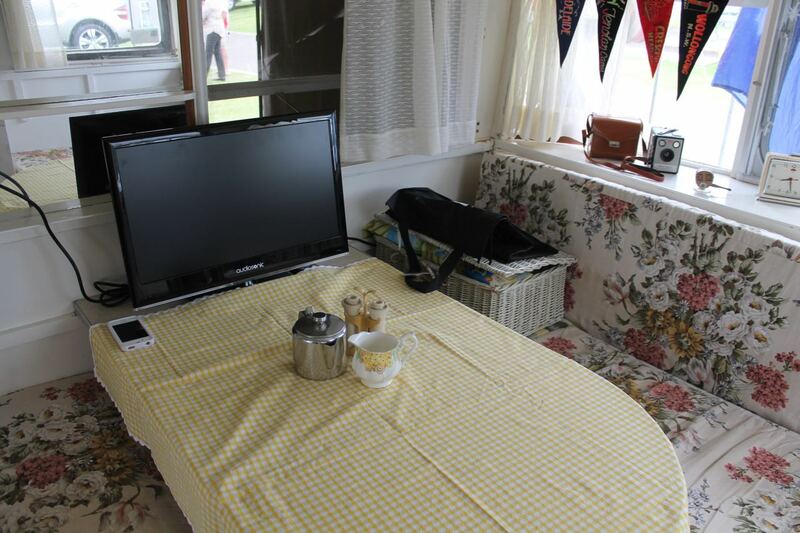 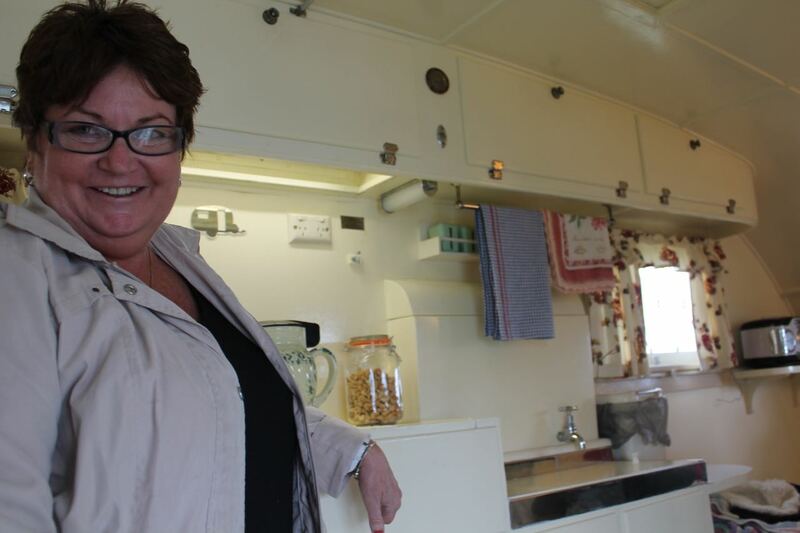 This one won the prize for the smallest caravan in the park! 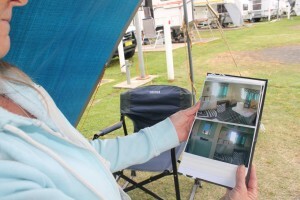 Veronica says her husband saw it, loved it, and made an offer – apparently it was originally rescued from a horse paddock! 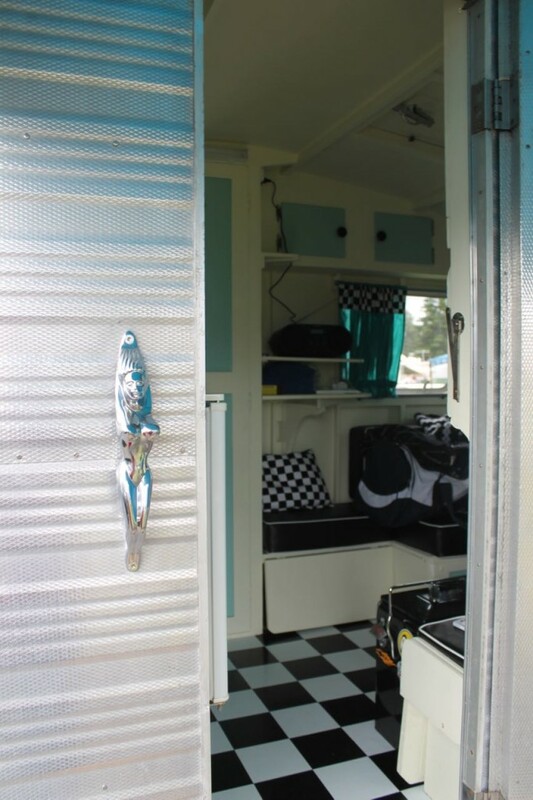 Veronica put down black and white adhesive tiles from Bunnings and opted for a turquoise, black and white colour scheme. 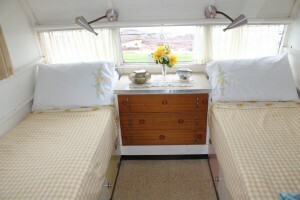 Looks stunning! 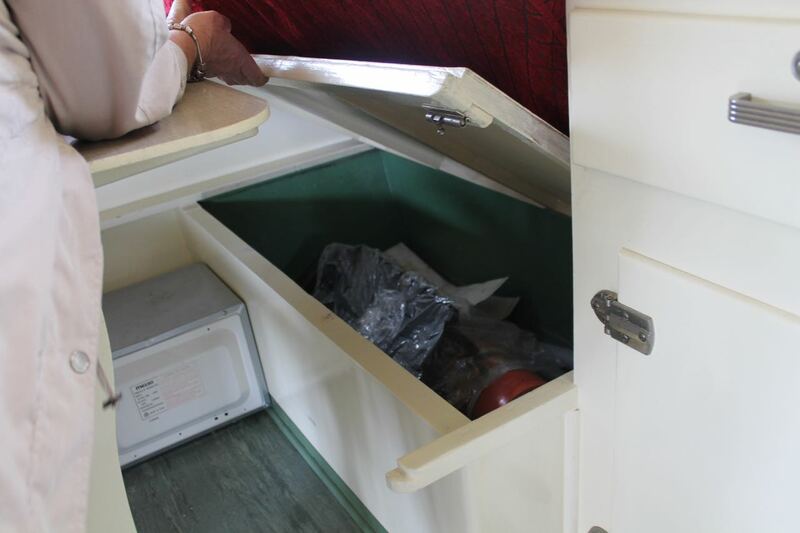 Just 9ft long – but it’s amazing what you can fit in here! 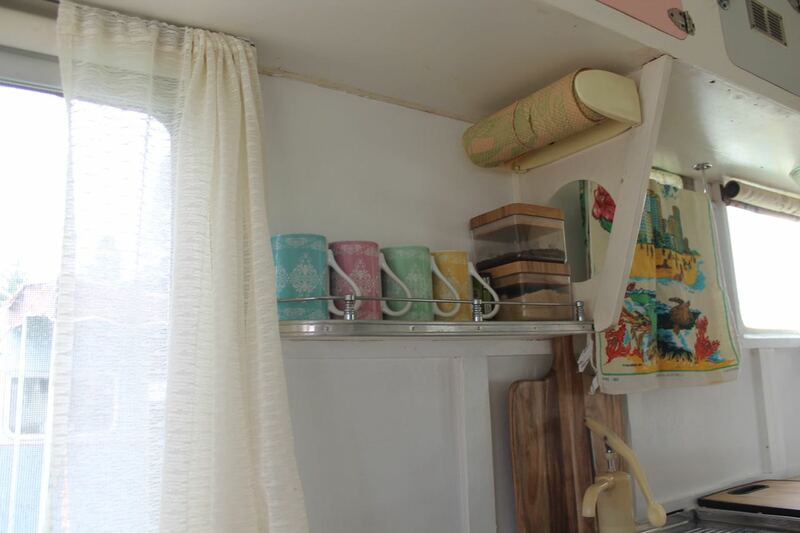 So much fits into a tiny space!